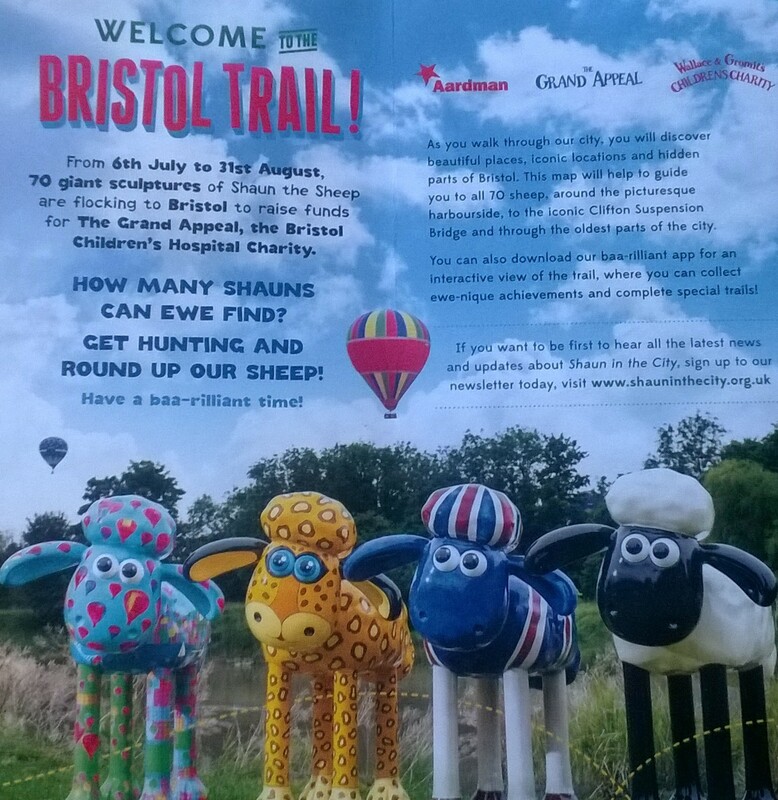 This week, we were finally able to do the one activity on our summer bucket list that I have been really looking forward to, the Shaun the Sheep trail in Bristol. 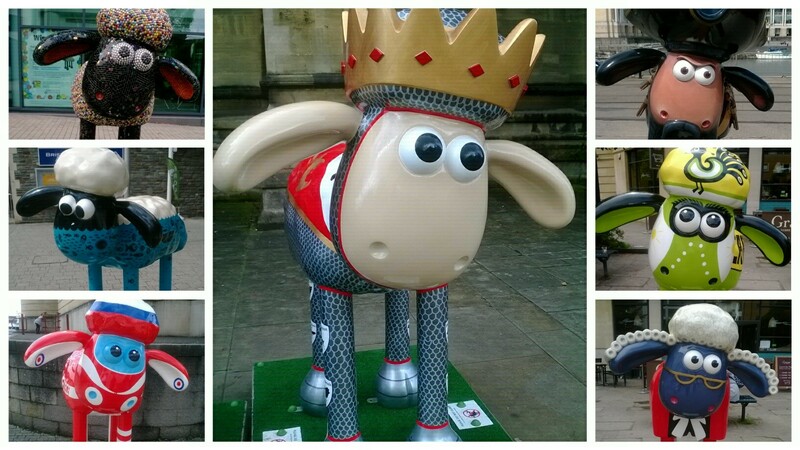 Two years ago, there was a similar Gromit trail where Gromit figures, painted in all different designs by artists, were placed all over Bristol and you tried to visit as many as possible. This trail and merchandising, app purchases and auction raised nearly £5million for the Bristol Children’s hospital, so has been repeated this summer with Shaun the Sheep. The Aardmaan Animations connection being the company started and continues to thrive in Bristol. 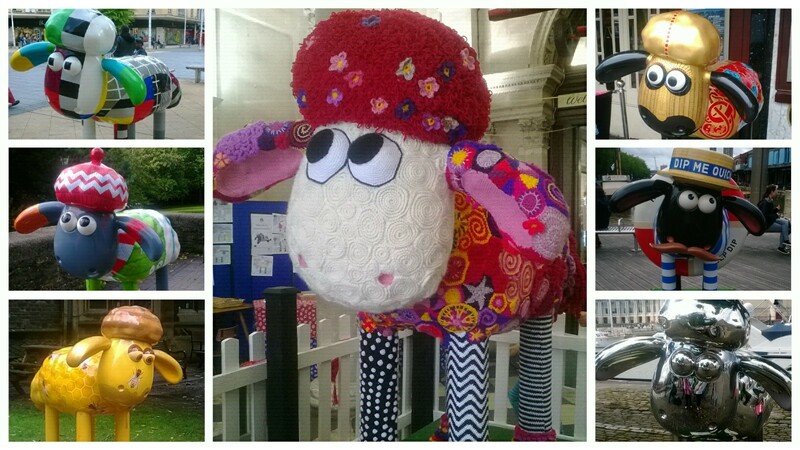 There are 70 Shauns in Bristol this year and with just the one opportunity to do so, we were realistic that we would not be able to do the full flock, however this year it was split into different themed trails and we did the Harbourside Trail with a few extras. It was the amazing experience I had hoped it would be, our first Shaun was Isambaaard, after Isambard Kingdom Brunel, any Bristol school child knows IKB very well and to find the statue at the Suspension Bridge was a perfect spot. Sadly, I have no single shots of this Shaun, but have lots of family photos, Shaun and the Bridge is a fitting setting. We then drove into the City centre to continue the hunt on foot. The harbour side is an area which has really developed and the atmosphere was sparkling, it was a rare, dry day and the area was brimming with families, hunting Shauns and enjoying the Aquarium, @Bristol etc.. It felt very jolly with a real holiday atmosphere. The lovely thing about the trail is the number of people doing it, you spot so many people studying the trail maps and Smartphones and lots of children running around and excitedly finding the Shauns. Little Man was brilliant at finding Shauns and even in the car on the way home he had his eyes peeled. It is also all inclusive, young and old, singles, couples and families were all shepherding the flock. Our little group was myself, my Mum, my nephew and Little Miss and Little Man and it was one of those very special times I’ll fondly remember. The Shauns are brilliant and the designs thoughtful and innovative. There are so many fantastic designs it’s difficult to choose a favourite. I loved Isambaaard, I used to love history at school and the real IKB was a character and absolute genius and I thought the location was perfect. However, at St Nick’s market, a favourite hangout as a teenager, was Woolly Wonderland, a knitted Shaun, it took 500 hours to knit its outfit and it is amazing, Mum and I loved this and appreciated the hours of work. Little Man’s favourite Shauns were the King (King Arthur of Lambelot) and Pirate Captain whilst for Little Miss her best was Shaun bean, a shiny, silver Shaun. I loved our day on the Shaun trail, it was very special and a wonderful way to explore Bristol, a perfect little adventure.